Stay up to date with the latest from ACT Policing. 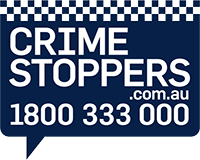 Find out what's happening in your community, information from police and how you can help solve crime in your area. You can also subscribe to our latest community new and media releases. If you are looking for an archived news story or have a media enquiry, please email ACT Policing's Media Team or phone (02) 6264 9460. Great news, Canberra - Jacqueline and Benedict have been located safe and well. A 26-year-old man from Ngunnawal will be summonsed to appear in the ACT Magistrates Court after a graffiti attack on a light rail vehicle in Mitchell.